The Derelicts’ debut single “Happy Sad” captures what it feels like to go partying when you’re sad in this peppy jam. One of the most interesting behaviors that so many young people have is persevering through mental illness or depression enough to go out. Often times in your 20s or college career, there will be nights where the weight of the world can fall on you, but if your friends say they’re going to the bar, you can occasionally stave off the sadness enough to get yourself to the bar and be the saddest person at the party. The Derelicts’ “Happy Sad” is built on this notion of trying to grin in the face of a bleak outlook. This indie pop jam is from the Indian group’s debut EP next month, and we’re excited to be bringing its first single to the U.S. on Atwood Magazine! 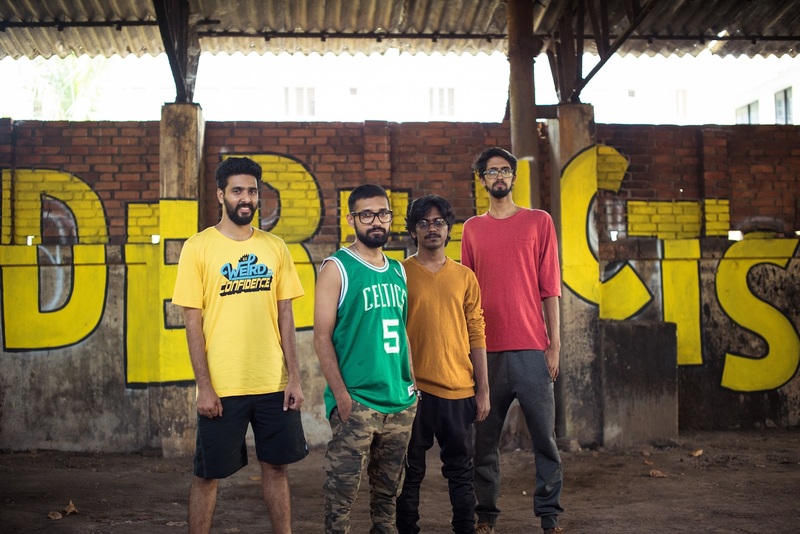 Hailing from Kochi, Indie, The Derelicts consist of guitarist Sabarish Menon, bassist Sreekanth Bhasi, drummer Biju Karthik, and vocalist/multi-instrumentalist Ashwin Nath. While a song about having a pity party at the party isn’t a new concept, The Derelicts approach the notion with sleek indie rock by the way of Black Kids and an upbeat rhythm that sounds like it could’ve been cut from Kesha’s debut album. “Happy Sad” is laid back and cool, but it also doesn’t steer away from being a fun, danceable track. It wears its disco influences on its sleeve, but it also doesn’t shy away from leaning towards mid 2000’s dance rock. Founding member Ashwin Nath brings a ton of personality to the track as the track gets most of its flavoring from his synth-textures. While the song is built on a simple bass, drum, and guitar groove, the highlight of the song is also a synth-solo that has the tonality of a hair metal solo. The production of the track lets Nath’s vocals bleed into the mix showing that his voice is just as much an instrument that fits into the melody and rhythm of the track. The song is upbeat enough to fare well enough in any club setting; nonetheless, there is a robotic nature to the disco. The robotic nature emphasizes the sad nature of the lyrics, where Nath is going out to a party/bar/club despite being in a desperate state. Even though the intent is good, these are often nights that don’t often end well. Nath sings about how he won’t sugarcoat his feelings, but he’ll happily fake his way enough to hop on the dance floor and perhaps have a few too many drinks. 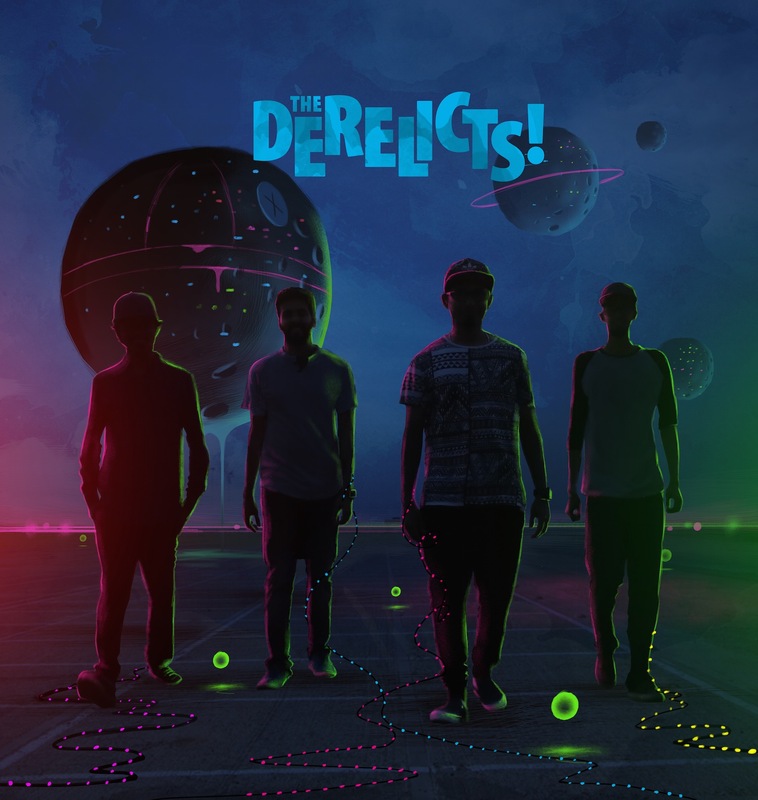 The Derelicts’ debut self-titled EP comes out in June 2018 via Overfeed Records. The disco-influenced indie guitar music is reminiscent of both the bygone eras of the 1970’s and the early 2000’s. The Indian band’s debut single “Happy Sad” summarizes a universal feeling of attempting to fight empty feelings by jumping into a happy riff and going out for a night on the town. Stream The Derelicts’ “Happy Sad” exclusively on Atwood Magazine!